In the twist of backstreets behind Fenway Park, there is a small restaurant squeezed in a little nook among a few small buildings. At night, the lights outlining the windows have a friendly glow that beckons anyone who walks by to come in. Once people walk inside the doors, they’ll immediately be sold by the smell. This restaurant is none other than El Pelon Taqueria. The tantalizing scent of the food and the sight of delectably spiced meats sizzling on the grill makes your mouth water and stomach grumble. Enjoy the intimate and cozy seating inside or the seating area outside on the patio on a nice day. The menu has all the classics: burritos, quesadillas, tacos, enchiladas and also has a few specials depending on the day. I ordered my staple, the chicken burrito. The charred taste of the chicken combined with juicy pico de gallo and fresh crisp lettuce combined with the smooth cheese and velvety layer of beans had me wanting more. The authentic Mexican flavors and good value for money really separate this restaurant from the typical burrito chains. Most items on the menu don't surpass six or seven dollars, which means that El Pelon Taqueria fills you up without emptying your wallet. Don’t have the time to walk over there for a sit down meal? That’s fine! 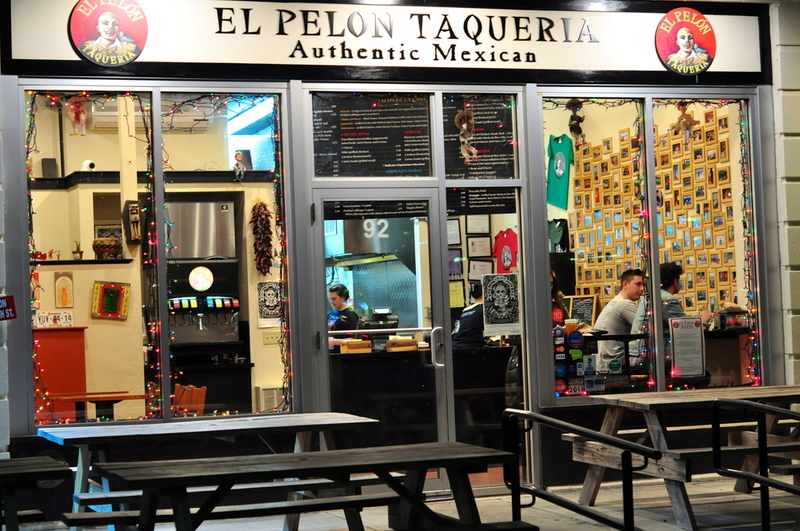 El Pelon Taqueria offers online ordering and delivery from its Brighton location for a small fee! So there’s really no excuse not to try this pallet-pleasing place.